Plex has completely changed the way I consume media. I'm aiming to digitize all of my DVDs/Blu-Rays and just access everything through Plex going forward - as it's just so easy/convenient. Only downside is that I've been using my main/gaming PC as the server, and while it works fine I'd rather not tie up my main PC's resources with the trans-coding/processing and such. I'd also like to not have to leave my louder, power hungry PC on all the time. So, I finally decided to build this! Combination of other popular HTPC builds and my own preferences/research. Aimed for low power, low noise, and still decent performance specs. I'll be using it mostly for Plex as well as any seeding/sharing/ftp stuff, and as a secondary PC on occasion. I spent more than I could have, but I opted to spend a little more to ensure I would be satisfied as opposed to getting the minimum/standard requirements. I was worried about the smaller Silverstone case being a little too tight, and I'd prefer more room over less... but this case was practically the size of a mid-tower; much more space than I needed. But it made managing the cables and airflow easy, which I guess is a good enough trade-off. In hindsight I might've tried the smaller case, especially since I didn't buy/need a GPU. The removable HD cage was pretty handy/nice for making the installation and setup easier, and managing the cables (as the case itself has no real cable management tools, apart from some included ties/straps/plastic 'brackets'). The case is dead-silent at idle. The PS3 is louder than this. I can't hear anything, even when I put my ear close to the case. 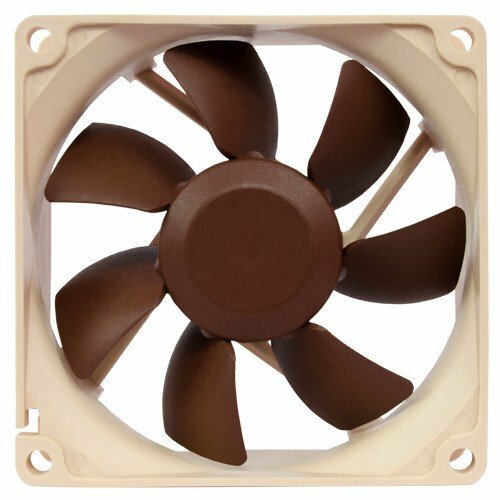 I need to purchase at least one y-cable for the fans, as the case itself comes with 3 fans + I bought another 3 fans... and the MB only has 3 system fan headers. The two Noctau 80mm fans came with a y-cable (and an extension, and a low noise adapter), but I'll need another. 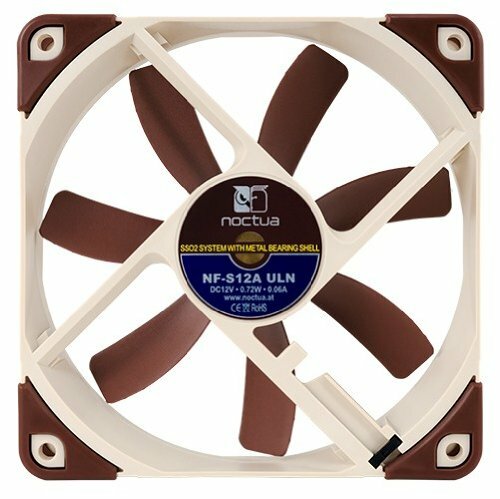 I thought that I should've got a PWM 120mm fan and maybe replaced the case fans with more Noctau fans (I love them), but at the same time I can't hear anything at all from any of these fans right now. The 3 case fans are 120mm intake fans with dust filters, and I added another 120mm intake near the CPU for the 'positive pressure' benefit they encourage. And the two 80mm fans are installed as exhaust in the back of the case. I'm in the process of running some stress tests now, and will update to see how well the cooling/fan noise holds up to it. Confident it will do well with what I've seen so far. 1-hour of Prime95 so far and the CPU has stayed below 50'C, all while the Noctau cooler hasn't even gone above 75% of the 2,500 max RPM. Still can't hear a thing. Loving it so far! Update: Yep, a few hours each of Prime95 and OCCT/Linpack and temperatures are stable <50'C and noise is still practically non-existent... and it idles at <5w (my APC doesn't even pick it up). Happy camper. 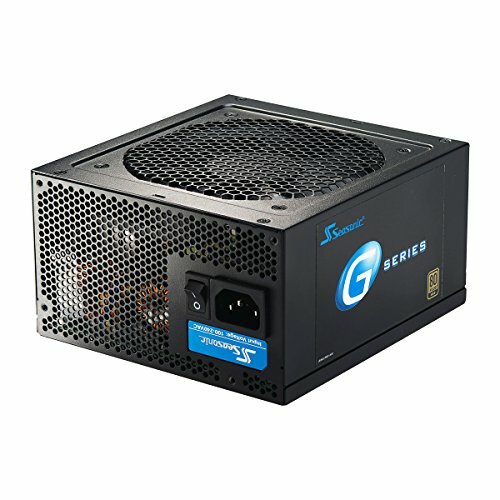 Hello, I am noob and in the process of compiling a list of parts to build my own HTPC and through this site found your build. Case, CPU, motherboard and SSD on my list are exactly the same as in your build. My goal is to build HTPC/NAS/server/occasionalPC (all in one) with PLEX/XBMC upfront apps and the most important condition is to be as silent as possible. The first question I have is about i3. Do you think it is powerful enough for transcoding to few devices simultaneously. Have you in general had any issues with i3? 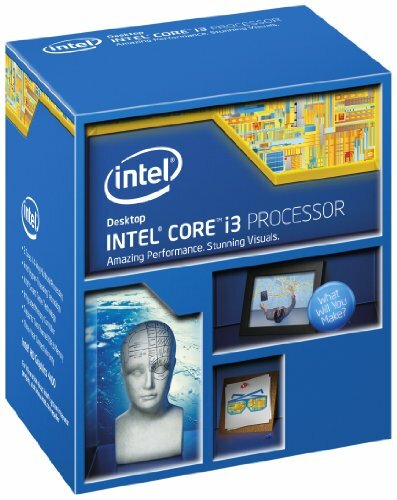 Have you thought of choosing i5 instead? Not sure I clearly understand why did you add CPU Cooler for your build? Also, why so many fans? 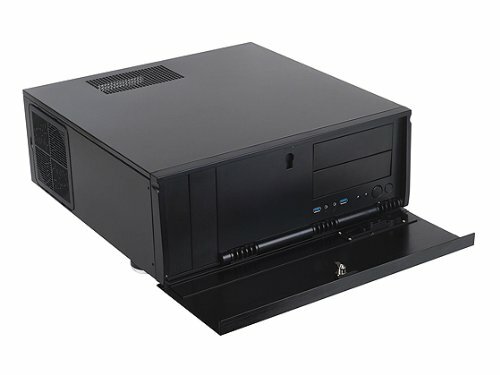 You have a big case, and few components inside, so airflow wouldn't be a problem, no? The i3 CPU is more than enough power. I've had up to three streams trans-coding off of this box simultaneously without any hiccups or slowdowns. Even the bigger, 5gig+ HD files with subtitles to trans-code are handled fine. I too was worried about it being an i3, but it really has been perfectly fine. No issues or regrets with the i3, and in fact I'm super happy with how well it performs at such little power. 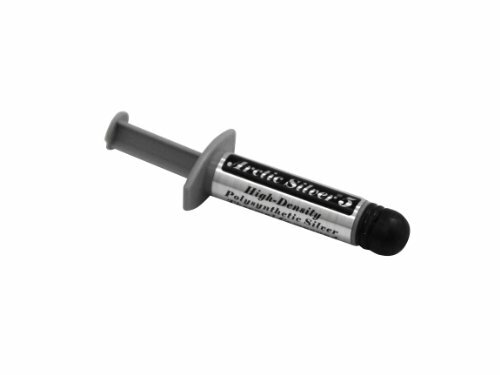 It helps keep the temperatures cool, the fans running low, and the electricity usage down. The CPU cooler and extra fans were all just to play it on the safer/cooler/quieter side. I definitely went overkill though, because even at 100% load for hours the core doesn't go over 50'C (and it can be safely run to 80+'C). So yeah, it's not necessary. My thinking was just the more and the better the airflow was, the cooler everything will stay, the lower the RPM the fans would need to run at (since they're PWM and adjust based on temperature), which means less noise and power. Components will also run more stable, perform better, last longer, etc. But I totally went overkill and passed the point of diminishing returns with all the extra fans, probably would've been fine with the stock CPU fan and maybe 1 or 2 extra case fans to keep the positive pressure environment (to help keep dust out). GD07B has two front USBs ports. 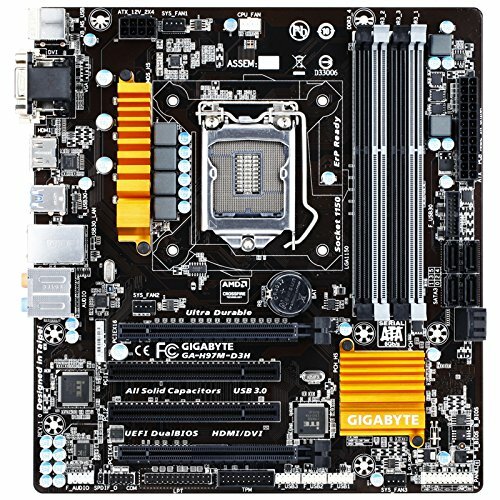 Does the gigabyte motherboard's USB headers align close enough to the USBs on the case? Btw, why did you choose GD07 to start with. As of now you do not seem to be using all of the available estate. In my case, the case was the very first thing i chose because i want this to be first of all HTPC/NAS. 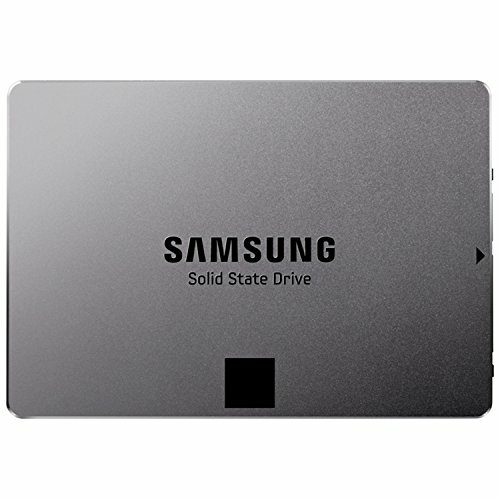 Initially, I will have just SSD and one 6TB HD, then as i need more free space I will add more HDDs. That is kind of a way for me to future proof it. I consider i3 now so that if in the future i decide to upgrade this build, i can buy a more powerful CPU and use old i3 for some Roku-like front end and move this build to a closet because as i add more HDD, i will get more noise which will be difficult to contain. Yes, the USB headers are close enough to the ports. In picture#7 you can see where the cable plugs in, to the left of the blue SATA cables (it's the black double-cable). GD07 mostly for the look, as well as the good airflow and dustfilters by the reviews I read. But yes, it's way bigger than I thought it would be - I honestly would've purchased a smaller one in hindsight, though I don't mind it much. 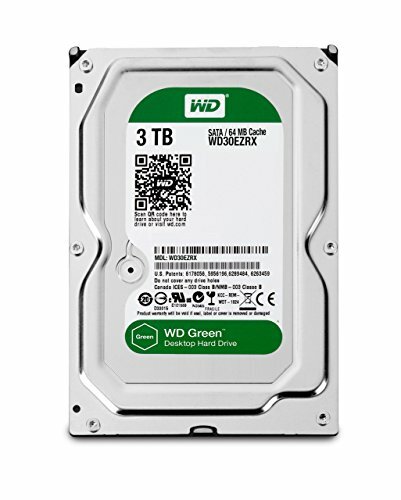 The flip side though, is that if I do add more HDDs (as you mentioned) I have a good deal of space to work with. Don't have to worry about fitting things in tight spaces or having to jump through any hoops to fit things in.